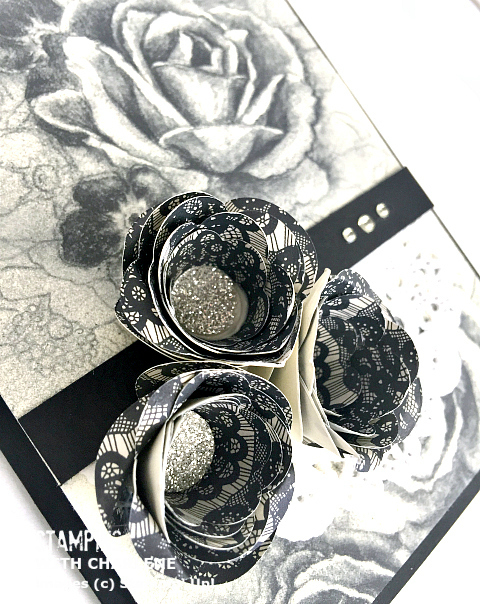 Home » BIg Shot Dies » Timeless Elegance Designer Series Paper from Stampin’ Up! 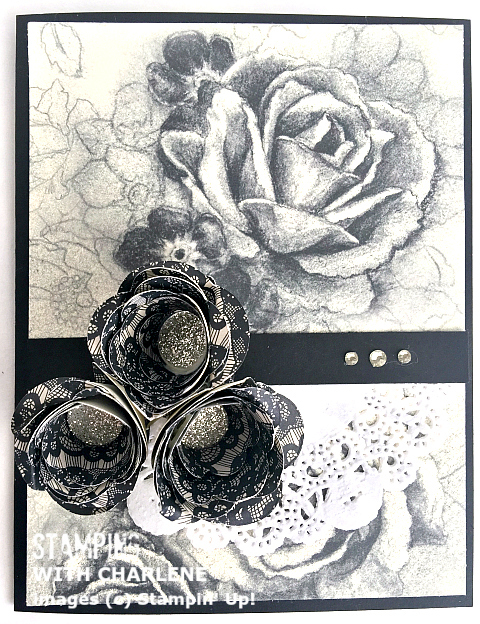 Timeless Elegance Designer Series Paper from Stampin’ Up! I wish I could show you in-person how extremely gorgeous this one particular sheet of paper is from the new Timeless Elegance Designer Series Paper. It is probably my most favorite paper design of all-time. The rose images jump off the page. I didn’t add a sentiment to this card because I wanted the images to speak for themselves. They do seem to speak to you, don’t they? I added three separate 3-D flowers that I created with the Spiral Flowers Originals Die. To make the flowers stand out more, I added tiny circle to their centers that I punched out of Dazzling Diamonds Glimmer Paper with the 1/2″ Circle Punch. If you want the flowers to stand out even more, just use your fingers to roll back the tips of the flowers. Gorgeous! Luckily, this paper matches the décor in my daughter’s bedroom. I think I am going to make some fun decorations for her room while she is gone. Shhh. I’ll keep you posted.